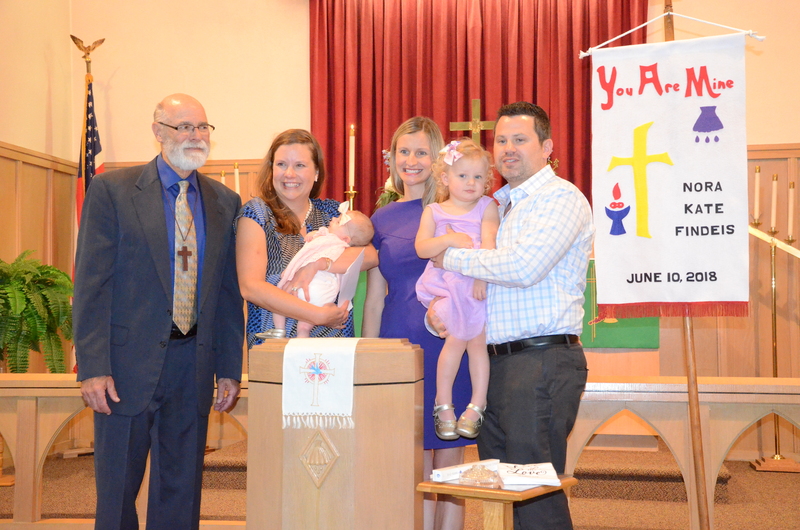 Nora Kate Findeis was received into the family of God through the Sacrament of Holy Baptism on Sunday, June 10, 2018. Nora is the daughter of Garret and Jenny (Pankoke) Findeis. 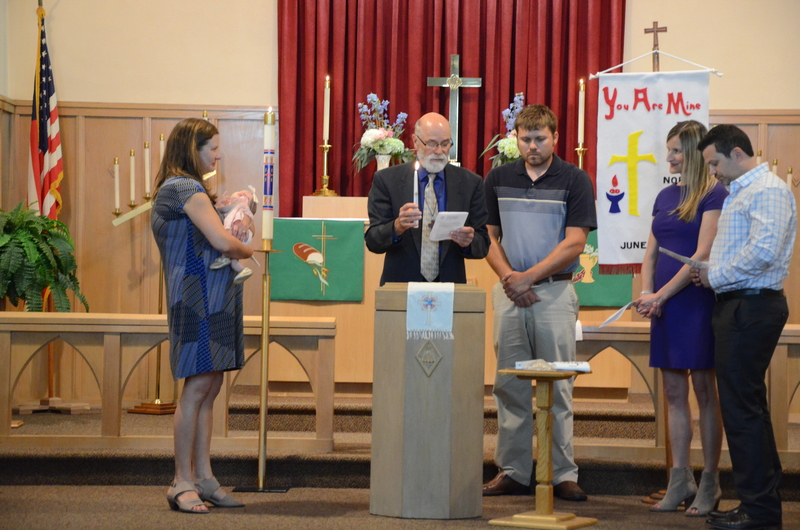 Pastor Ken Tubbesing was the officiant of the baptism which took place after the worship service at Martin Luther Lutheran Church. 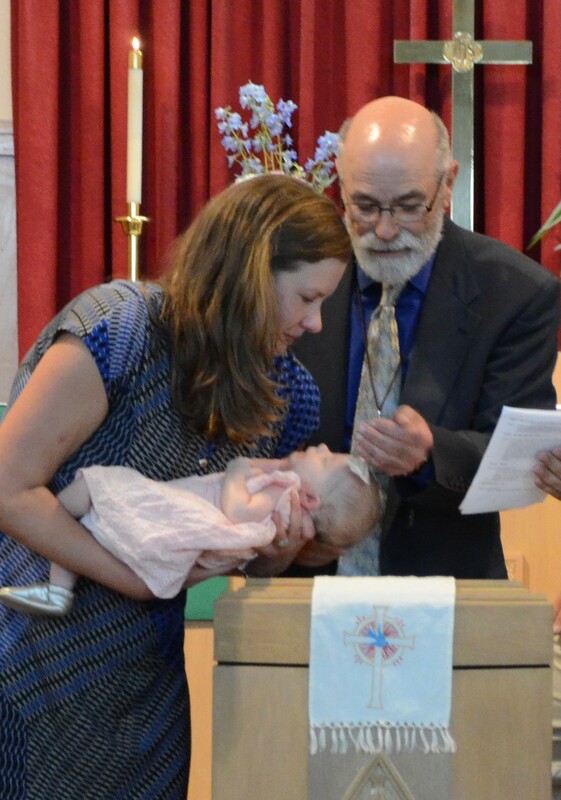 In addition to becoming a part of the Martin Luther Church family, Nora is very special to MLC members, Dave and Mary Findeis, who are her paternal grandparents.